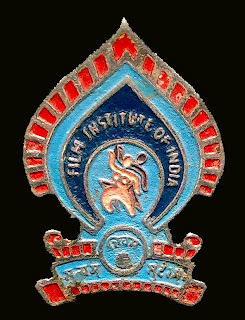 A specially designed Badge was issued on the occassion of the the Tenth Anniversary of the founding of the Film Institute. It was a very small one of about an inch in height, and of interesting design. Many might not have seen it or aware of such a thing. In the earlier days I used to pin it on to my cap while shooting. Even now, I still have it with me as a memento.